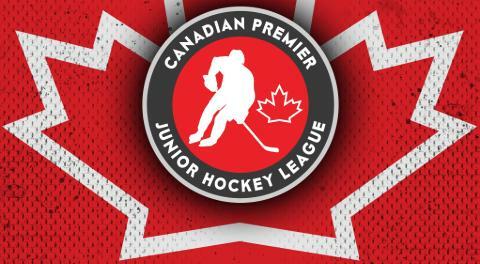 The Canadian Premier Junior Hockey League today announced its Forward, Defenseman and Goaltender of the Month awards for January. Christian Handley averaged 2 ½ points per game in totaling 15 points (seven goals, eight assists) in six games last month. He had four multi-point games, including a five-point game Jan. 6 against the Coldwater Ice Wolves and a six-point performance Jan. 26 against the Muskoka Anglers. The 2000-born Christian Handley leads the Raiders and is eighth in the CPJHL with 29 goals and 47 points in 22 games. In five games last month, Gaudron registered three goals and 11 assists for 14 points with the Mustangs while playing solid in his own end. He tallied two goals and nine assists Jan. 18-19 in back-to-back wins over the Scarborough Wexford Raiders. On the season, the 2000 birth year has compiled 10 goals and 33 points in 28 games. Saulgriezis went 3-0 last month, picking up wins on Jan. 4 in a shootout over the Seaforth Generals (38 saves), Jan. 11 against the Muskoka (60 saves) and Jan. 26 against the Essa Stallions (44 saves), good for a 2.21 GAA and a .953 save percentage. The 2001 birth year from Latvia is 14-2-0 on the season with a 2.89 GAA and a .912 save percentage. 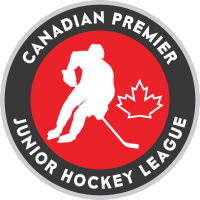 Saulgriezis leads the CPJHL in wins and is fifth in GAA and save percentage.